Even though it may not feel like spring outside, I have been busy thinking through how fast the next couple of months are going to go by - spring planting, birthdays, baby showers, wedding showers, weddings, Mother's Day, graduations, Father's Day, and the arrival of MP (just to name a few). An important holiday to add to that list, that came to mind to me today, is Memorial Day. How many of you plan on celebrating Memorial Day? I celebrate Memorial Day every year by visiting graves of past loved ones and by thinking of all the men and women in the armed forces. I haven't talked about this topic too much on my blog in the past, but I am a proud to be in a military family. My youngest sister joined the Army National Guard when she turned 17. Now at the age of 25 she is employed by the Army National Guard full-time, has been deployed to Iraq and is deploying to Kosovo this fall. I am so proud our her service and to be her sister. 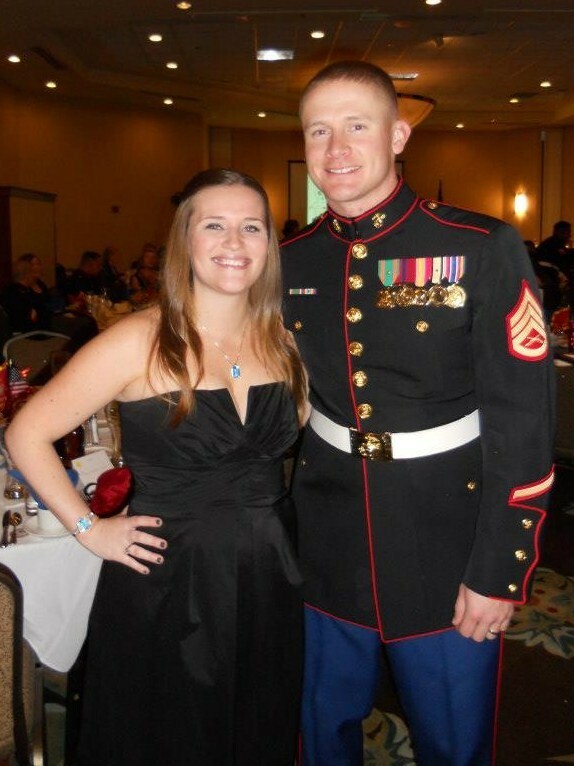 My other sister's husband, aka my brother-in-law, joined the Marines when he was 18. Now at the age of 26 he is now enlisted in the Marine Reserves after serving two tours in Iraq and two stays in Japan. I too am proud of his service and to be his sister-in-law. So, you can see a couple big reasons why I think everyone should celebrate Memorial Day. An easy way of celebrating Memorial Day and honoring our military heroes is by joining me in participating in Operation Thank A Hero. 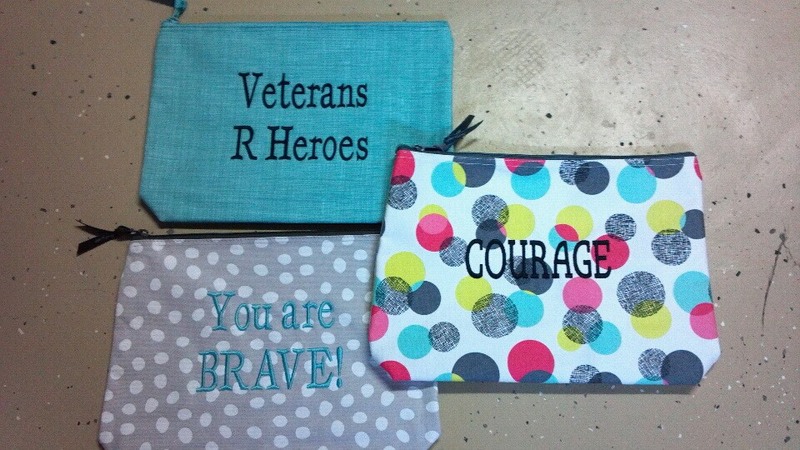 This project is being led by a friend, and Thirty-One consultant, who is asking people to donate a Thirty-One Zippered Pouch to a veteran in an Iowa VA hospital. Each donated pouch will be filled with items to make the veteran's hospital stay more comfortable, such as puzzles, toiletries, books, magazines, a get well card, etc. If you are interested in bringing a smile to a veteran's face this Memorial Day, contact Joslyn Stock (joslyn.stock@gmail.com) about ordering and donating a Zippered Pouch for just $18, or you can personalize a pouch for $26 (ideas include: Thank You, Veterans Are Heroes, God Bless America, Service, Courage, Brave). Orders are due May 10th and all pouches will be delivered on Memorial Day. I thought this was such a great idea, I just had to share the message with all of you. I donated two pouches, one in honor of both my sister and brother-in-law. I hope you will join me in celebrating Memorial Day this year! Thank you to everyone that supported this effort. 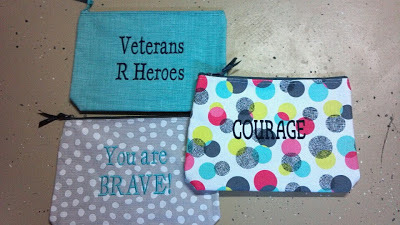 This Memorial Day 18 pouches will be given to veterans staying at VA Hospitals in Iowa. Thanks once again to everyone that helped! What a nice idea! We celebrate by getting fake flowers for all of the veterans' graves at the family cemetery by our home. It's about 1/4 mile away. And at 4th of July, we put little American flags on all of the graves.